A look at how the FootRoll attribute on IK leg controls can sometimes trip us up when animating walks and runs.. and an alternative approach which can give cleaner results in some cases. I also demonstrate how I like to clean things up to remove the dreaded knee pop. My first animation book review video, this one covers the book on Disney animation published last year, Before Ever After. Animation Zen – is an antic an overshoot in reverse? Some thoughts on anticipations and overshoots.. 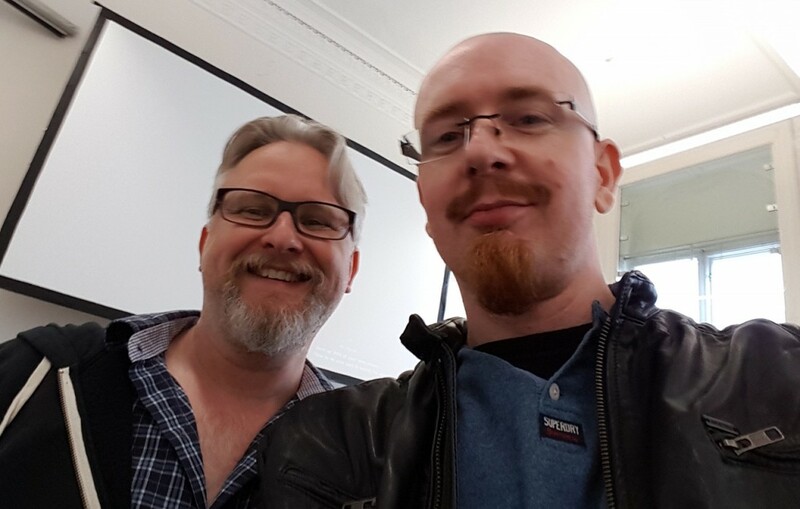 Attended a master class with Jason Ryan here in Dublin yesterday. It was organized by Animation Skillnet and Screen Training Ireland and was a very enjoyable and educational day. Very nice to catch up with Jason again and have a chat too. Animation tip – A quick way to animate overlap and settle. This is a method I like to use sometimes to animate overlap and settle, it’s very controllable, quick to do and can give a pretty subtle result. In this case I demonstrate it on Jupiter’s ears and hair but it can be used on all kinds of things to add more life to the animation. Hope you find it useful and happy animating! Jason Ryan from iAnimate/Disney/Dreamworks/Cinesite made a great video showing how he uses my ghosting tool for Maya. Tips and Tricks for Animating in Maya, great demo and awesome plugin by Brian Horgan. A common mistake when animating walkcycles.. Looking back at some older walkcycles I’ve animated a few years back the other day, I noticed I kept seeing the same mistake and I’ve seen it in other walkcycles from beginner animators too. So I thought I’d make a video discussing it. Hope it helps! A very cool video from the amazing animator Jason Ryan (iAnimate, Dreamworks, Disney etc!) 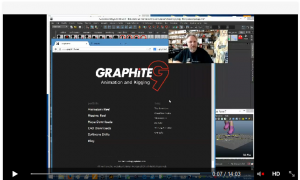 where he shows some ways he has implemented my ghosting tool into his animation workflow. Many thanks to Jason for taking the time to make it. Watch the video on the ianimate.net Facebook page here. This video explores two contrasting workflows for animating a tail with appealing overlapping motion. I guess you could say one method is more technical and the other is more artistic. Both are valid of course, the end result is what counts most! A little demo of how I block out a quick walk-cycle using custom mirroring tools I’ve written for Maya. Generally I don’t animate most things in such a layered fashion, but for walks and runs I find it’s a nice way to work quickly. The other thing you’ll see me doing from time to time is favoring keys using my own version of the classic ‘TweenMachine’ tool (the arrow buttons on my shelf). I wrote a TweenMachine tool for C4D a while back (available on my website) and found I preferred just having some buttons to nudge poses back and forward rather than a slider so I wrote one for Maya too. At the end of the video I convert the walk-in-place to one that translates in world space using another tool I created called ‘bh_snapToWorldspace’. This video is sped up 6x and it real time this was about 25 minutes in total. Hope you find it interesting! The Sheldon rig is from the fantastic iAnimate online animation school.